Short breaks to Berlin usually start with an obligatory visit to check out the remains of the infamous Berlin Wall, however, Berlin has far more to offer than this. It is of course true that the city was once divided but nowadays the remaining parts of the wall serve a more decorative purpose with tourists flocking to see the urban artwork of the East Side Gallery. Those looking for a more in depth history of cold war Berlin usually head for the excellent Checkpoint Charlie Museum (with the must-have photo opportunity) or the Berlin Wall Museum in the north of the city. 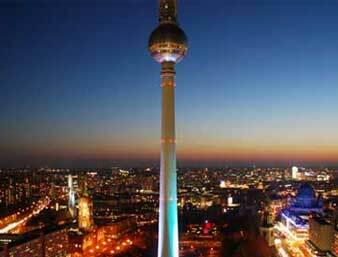 If you should tire of the wall, a trip up the Fersehturm (TV Tower) at Alexanderplatz will give you a bird's eye view of the city. Alternatively a river cruise on the River Spree gives much more sedate and relaxed sightseeing opportunity. Afterwards, why not walk down the impressive Karl Marx Alle which leads you into the heart of the former east and the trendy district of Friedrichshain where you can browse the flea markets, enjoy the café culture, grab an ice cream or a nice cold beer. 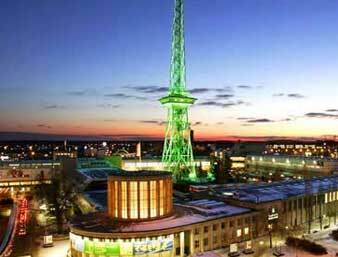 As the capital city of Germany and one of the true "world" cities, Berlin is a great city to visit all year round, however, it is worth bearing in mind that winters can be bitterly cold and summers stiflingly hot. Usually it is somewhere in between these two extremes although it is always worth checking the weather forecast to pack appropriately before you go. For a completely different look at the city, Berliner Unterwelten organizes various subterranean tours which take you deep below the city to explore the maze of tunnels that run underneath the city. From tunnels used by east Berliner's to escape the oppressive communist regime, to tunnels built by the Nazis, these tours give a fascinating glimpse of Berlin's dark past. 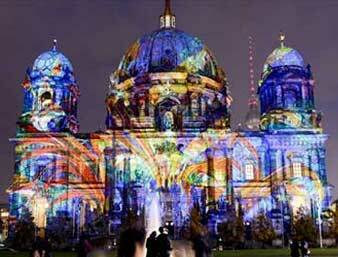 As with any city of Berlin's stature, there is a wealth of nightlife on offer. From the trendy bars of Friedrichshain and Kreuzberg to the city centre clubs, you truly can party all night in Berlin. For those looking for something more refined, there are several large concert venues, English language cinemas or just a simple coffee and ice cream at one of the city's many cafés that line the streets. Berlin city breaks are never dull and offer something for just about every taste. From bohemian markets to dark history and upscale shopping to high fashion, Berlin will leave you planning a return visit.